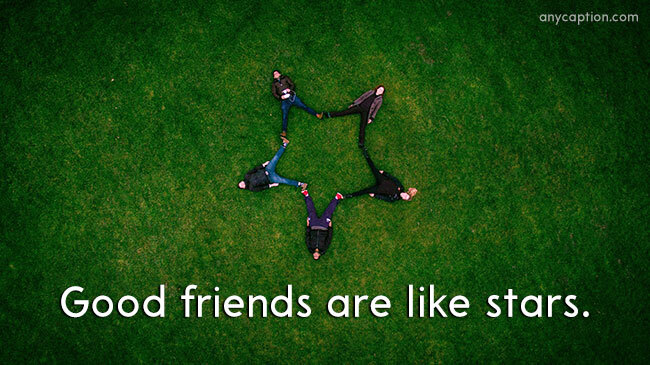 Caption for Friends : Having close and best friend in life is a blessing. 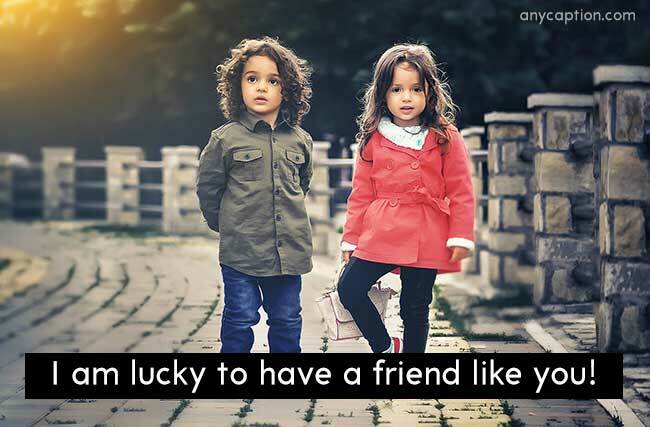 We all should be thankful to the almighty for giving us the special gift of life as the friend and true friendship. 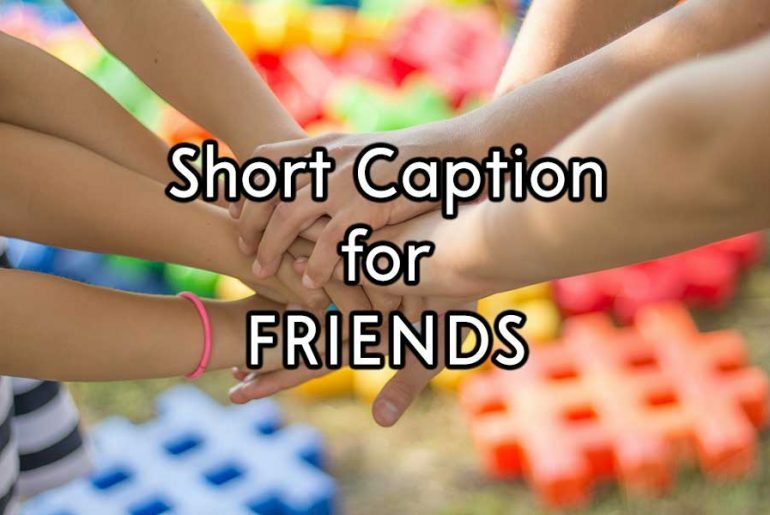 We have made a list here that is filled with the sweet and short caption for friends you can use as photo caption on Instagram, Facebook or elsewhere you want to. Below they are listed in many sections to help you choose the best for your exact need. 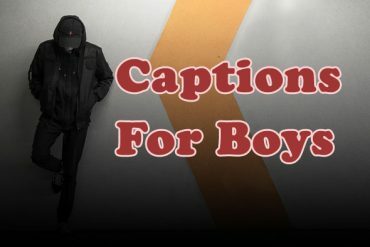 Scroll down and find the suitable caption you need to tie and post with your friend’s group photo or selfies. 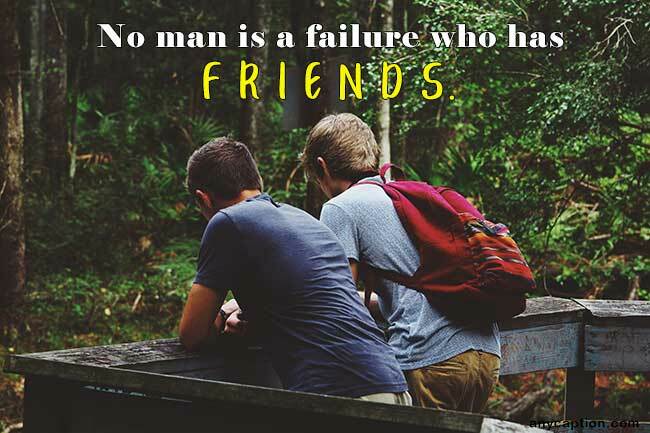 Sometimes, a oneliner or short quotes can be the expressing way of a broad meaning and these short captions for friends are something like that. Just look through the list and explore what they have to offer you in their tiny figure! If you are fortunate enough to have a best friend in your life then you have something special that many people don’t have. We made this list for the photos of you and your best friend. Read to find that suits your photos together! Best friends believe you when you do not believe yourself. Life is sweet with friends like you! Being silly with a friend is the best therapy! 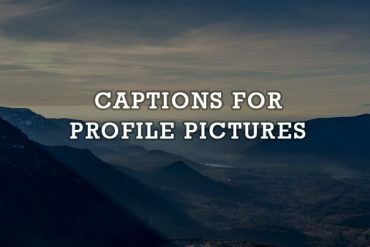 When you have some group photos with your friends and need such kind of caption that could manifest the bonding and togetherness of your squad then you can easily depend on this list of captions! In the cookie of life, friends are chocolate chips. Friendship is the only flower that blooms in all seasons. 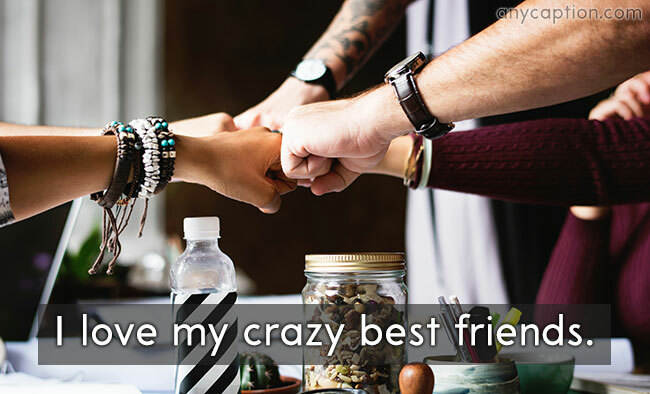 Happiness is… having crazy friends. Making fun with friends and pulling legs of each other are the best things friends do most of the time together. 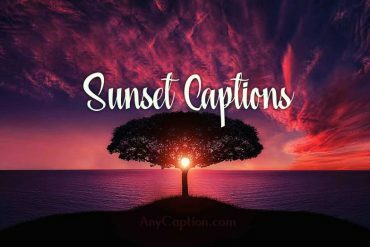 And, if you have to caption a funny photo or moment captured in the camera than this quotes and cute lines are perfect to do so! Disturb your friends all the time. 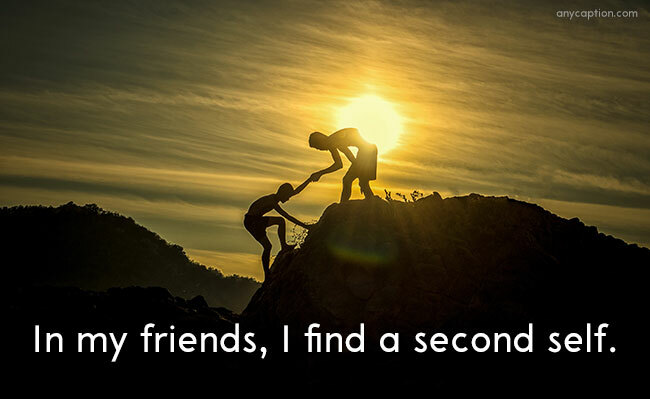 People say it is hard to find friends, just because the best one is with me. A selfie a day keeps the boringness away. And, when the selfie is with friends then it just not only keeps the boringness away but also brings lots of cheer to your way. Now, pick a perfect caption for the cute selfie with your friend and chill. 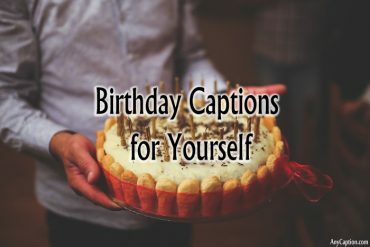 Finding the perfect photo captions for someone special who has played such an important role in your life can be challenging, but don’t be upset, this compilation of caption for friends will help you in any situation. 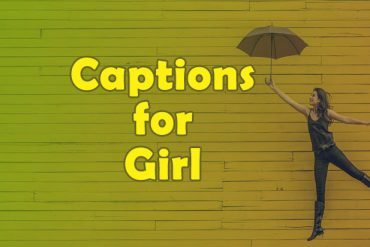 We hope that you and your friend together will be happy to have this bunch of captions, and stay with us for many more post like this one! Thank You!